Pine Ridge Lounge Chair Escape to your very own backyard oasis with this beautiful lounge chair! You'll feel like your lounging by the hotel pool when you relax on the thick, plush cushions. A fully adjustable back lets you choose how best to relax while armrests on either side will make reading a book or magazine a more comfortable experience. The sleek, cleanly designed frame will be a handsome addition to any patio, deck, pool or other outdoor living area. 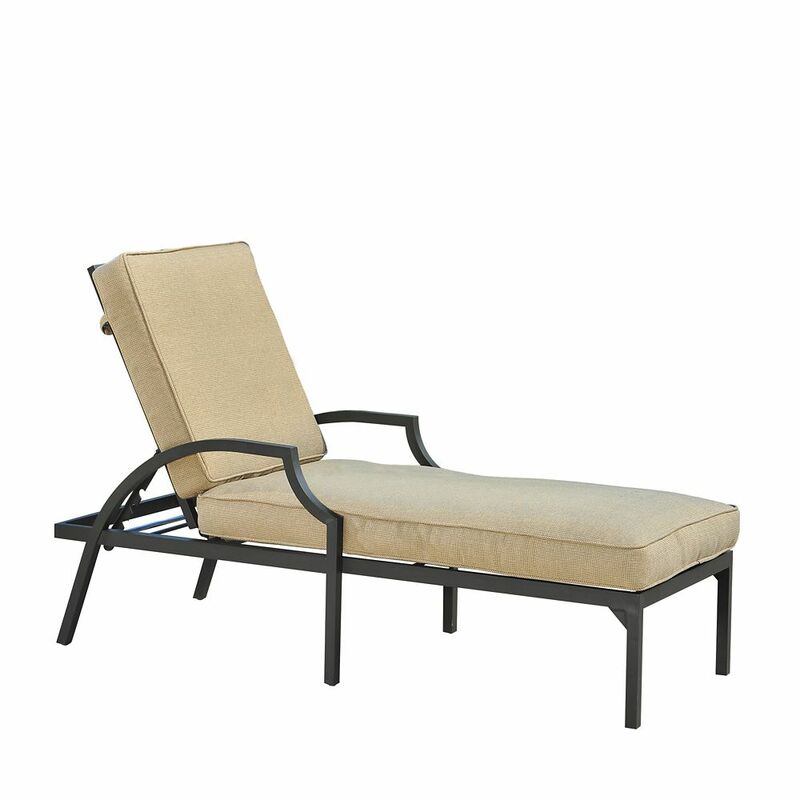 Built from high quality aluminum this lounge chair is both rust-free and lightweight, making it an ideal choice for seating around the pool.